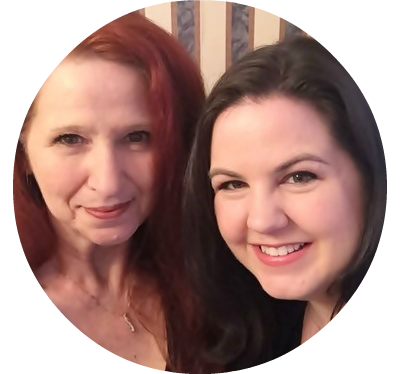 We’re happy to be participating in the first Spring Craft Blog Hop 2015. 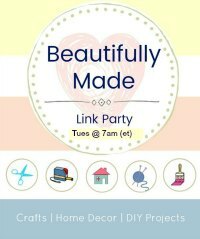 Crafting for holidays is something we love to do and we’re excited to join in as one of the hosts for this blog hop. 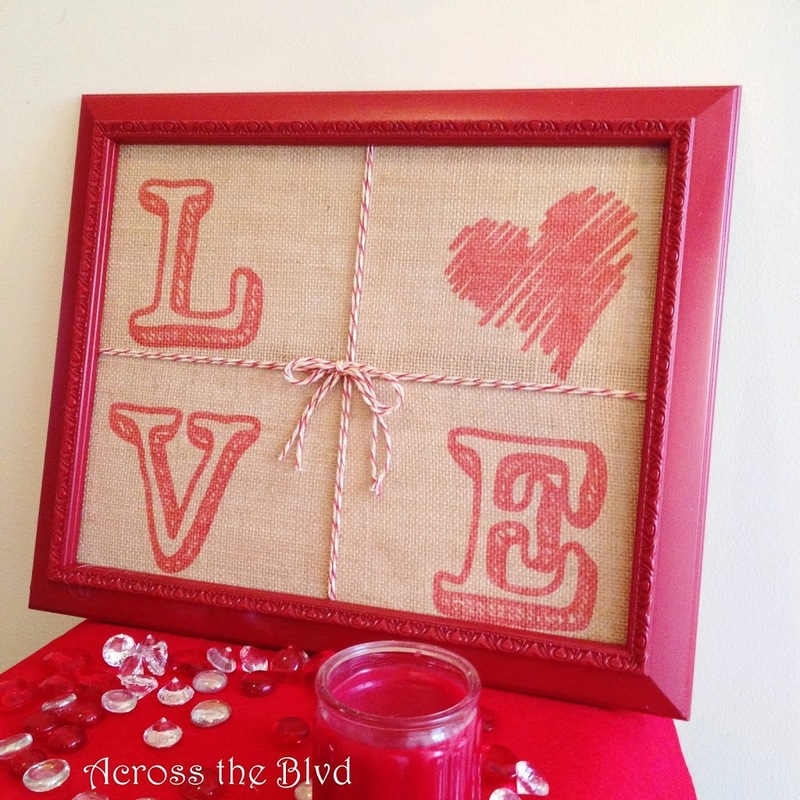 To get things started for our Across the Boulevard Valentine’s Day posts, I’ve created a Valentine’s Day Framed Love Sign. 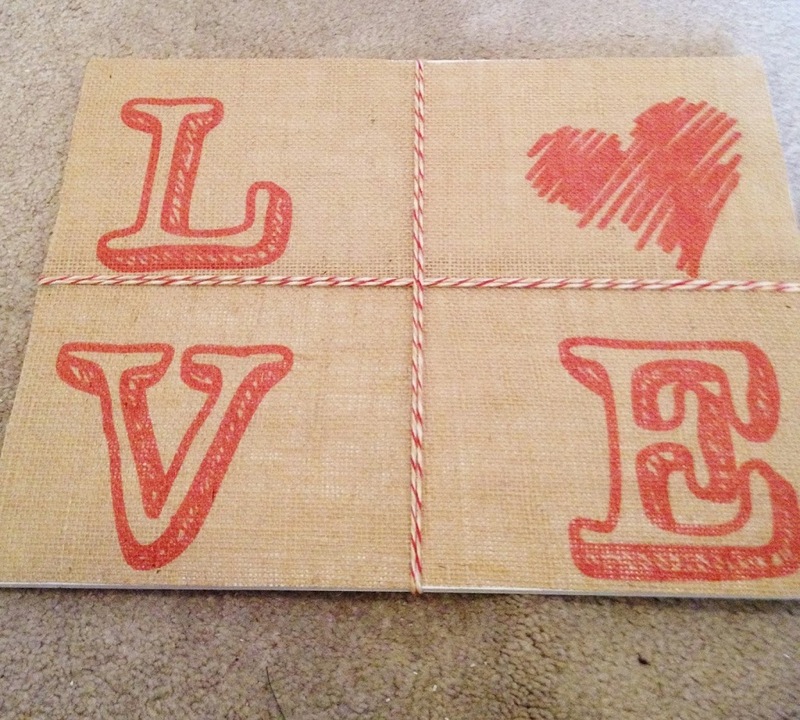 It’s so easy to put together and makes a great addition to Valentine’s decor. To make this, I started with an old thrift store find gold frame that I’ve had for a while. The gold just wasn’t the right look at all. 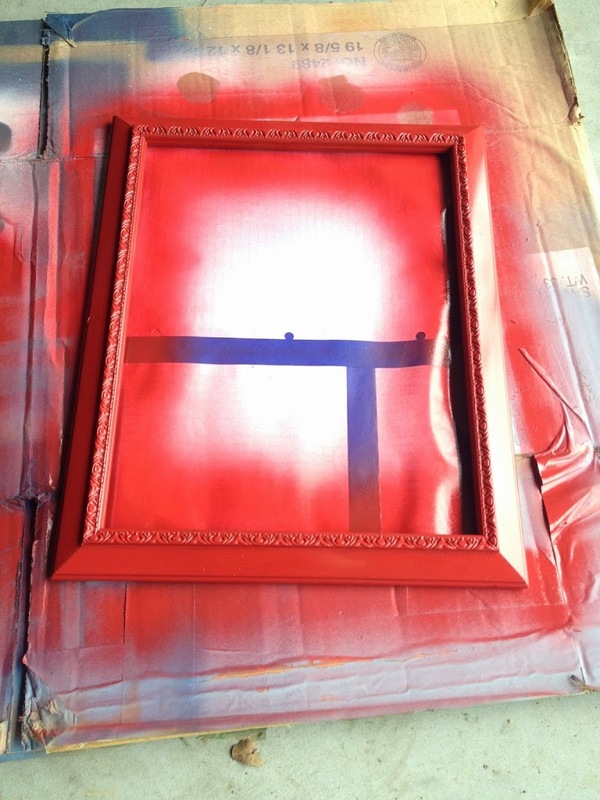 A little red spray paint had it looking festive in no time. 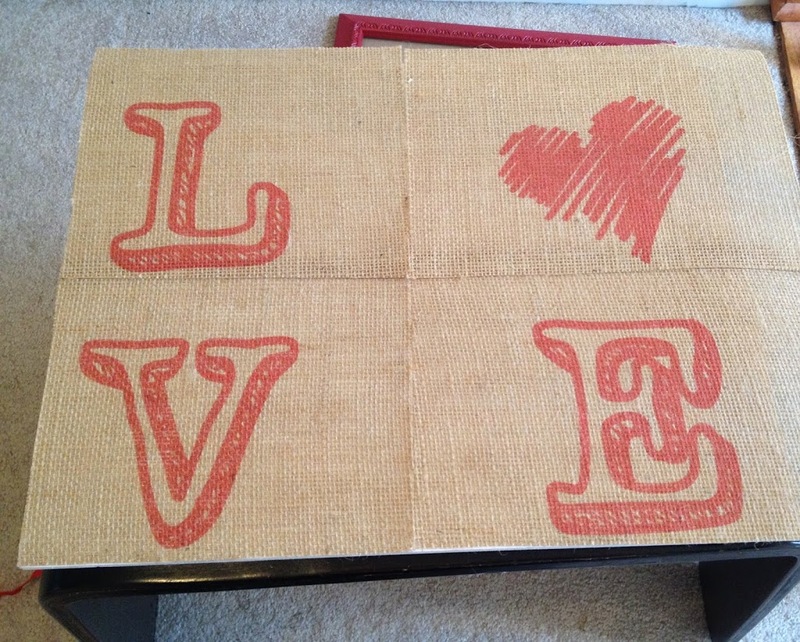 I printed the letters for the sign on laminated burlap sheets, using Vintage One font for the letters and My Valentine’s Love font I found at dafont for the heart (O). After printing, I trimmed each sheet to the size I needed and hot glued them to piece of foam board. 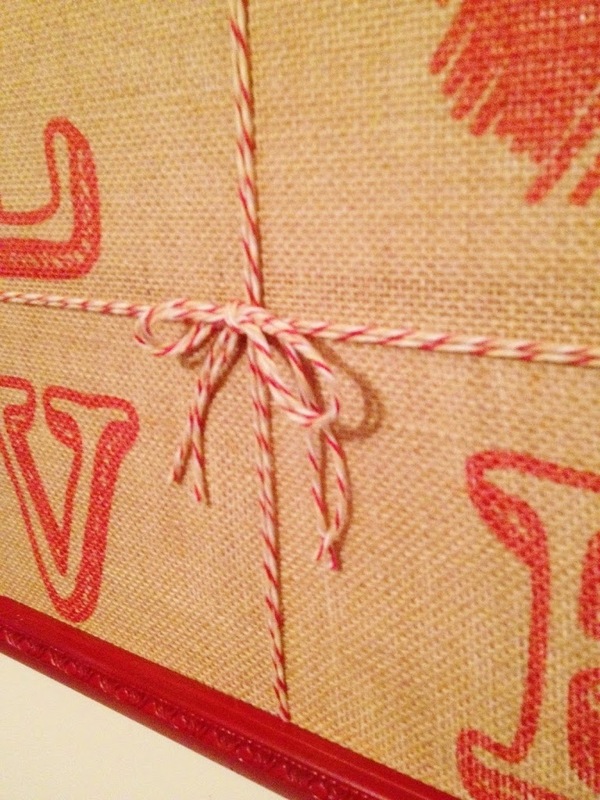 I needed something to use for the divider and I tried some ribbon, some rick rack, more burlap. None of those looked right. I kept searching through my craft supplies and found the perfect red/cream yarn. I doubled it and hot glued it in place on the back. To add to the center point, I just used a small piece of the yarn for a simple bow. The foam board slips securely into the frame and makes a great filler between the burlap and the black backing of the frame. This would look great if done using large wooden letters mounted on some backing and framed, too. Now, I just need to decide where I want to display it. I’ve never done a Valentine’s Mantel. I might try that this year. Do you decorate your mantel for Valentine’s Day? I would love to have you join us for #SCBH2015! Please add your creations to the party! Lovely! Rustic but sophisticated, a piece of décor that will last you for many years! Thanks so much, Renee! Thanks, too for stopping by. 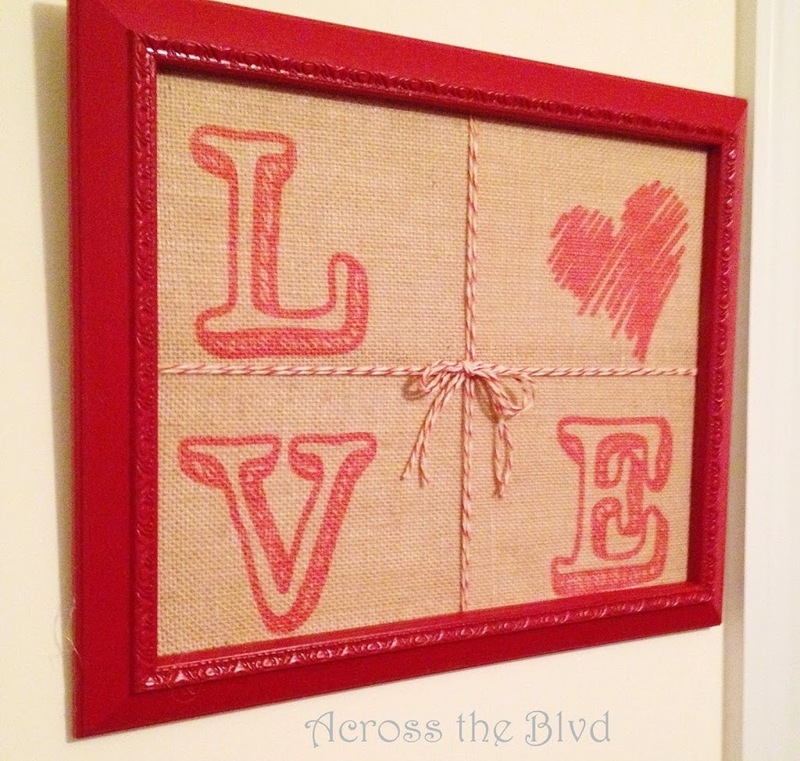 This is s’uper cute and came out great.I love that it’s made with burlap! Visiting from Two Uses Tuesday! Thank you, Kate Lynn. 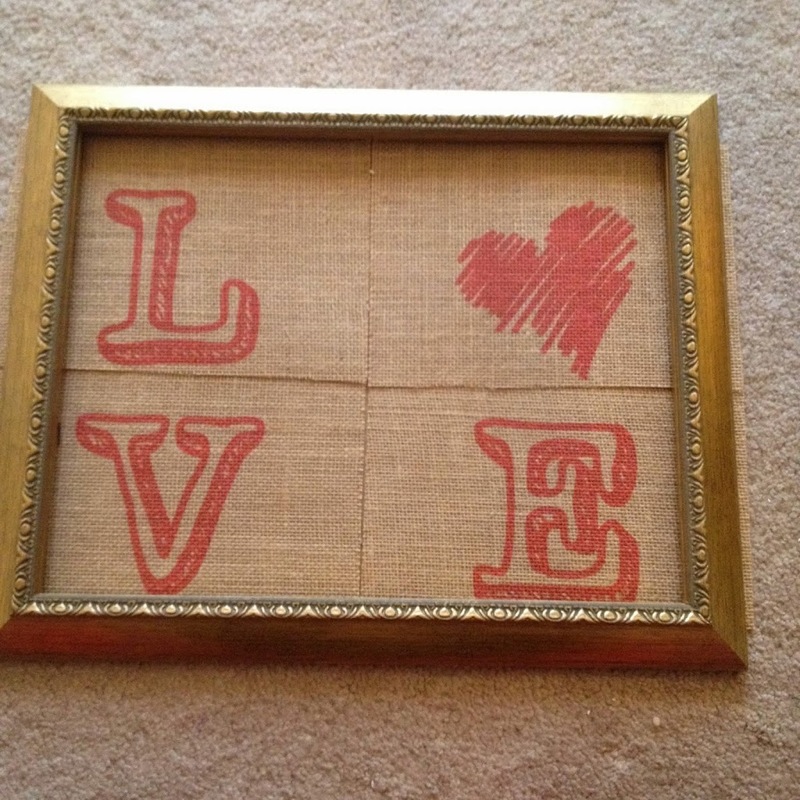 I love burlap. It’s become my go to fabric for many of my crafts. Thanks so much for coming by! Aw! Love it. Turned out just perfect. Reminds me again I want to look for some of this burlap! Thank you! I know I keep mentioning those sheets and using them, but they are just so easy to use, it’s hard to resist them when I’m making something! Thank you, Michele. I was happy when I found something I already had that matched the rest of the project. Thanks for pinning! Oh, I love this! So simple yet vintagely fabulous! Thanks so much for linking up with us over at the #HomeMattersParty – we hope to see you again next week! Thank you,, Kristen. #HomeMattersParty is always a great one. I’m happy to share. Very cute! Thanks for sharing it with us at Totally Terrific Tuesday! Ran across your link on google. This are really pretty! I love how you did the lettering, heart and adding the yard down the middle and across. Nice work! Thanks for sharing! Thanks so much, Linda. It was a simple project to put together! 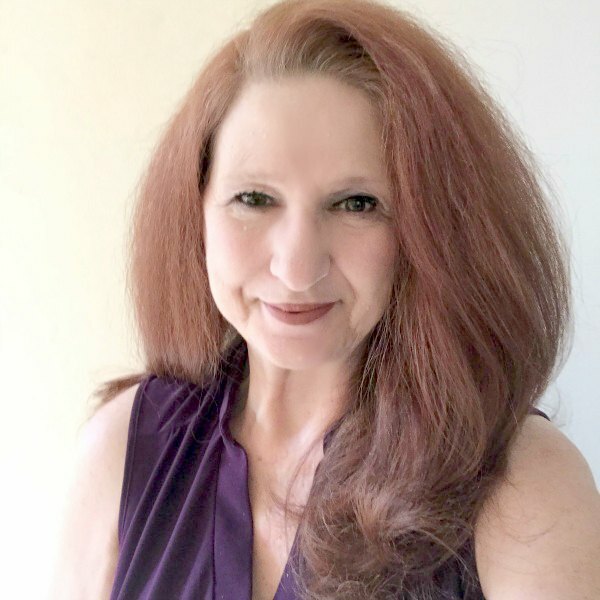 Thanks for taking time to stop by with a comment. I appreciate it!